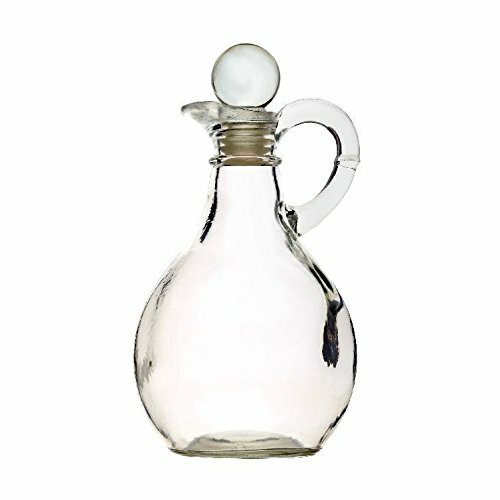 Beautifully classic, this traditional style glass oil bottle features an elegant round stopper, pouring spout, and handle to ensure you always have a comfortable and secure hold. Height including stopper approximately 16cm. Largest diameter approximately 8.5cm.